How are you? I hope you’ve had a great week and have some fun planned for the weekend! My book project is in the “home stretch” and the great news is that my editor is working on my book cover design at the moment! I cannot wait to share some designs with you (and maybe you can help me choose one?). I plan on hosting my very first Facebook Live (YIKES!) via my Facebook page on Saturday 10th March at approx. 10am EST/3pm GMT with an update. There will be an opportunity to see the draft cover designs and vote on which one you like the best! I can also answer any questions you may have about the book, so if you do have any questions, please reply to this email and let me know. Above is another little peek into a couple of pages from the book! Here are some other exciting things coming in March and April! 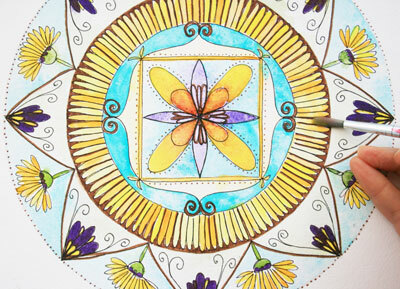 A new online “Botanical Mandalas mini class” to whet your appetite is coming in a couple of weeks! So if you are completely new to creating a botanical mandala, this class will get you started! I will share a free access link with you once it is published. 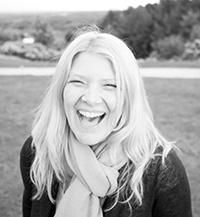 A video interview for the ‘Creative Healers’ seminar is taking place at the end of March where I talk about the healing power of nature and creating mandalas. This will be so much fun to be part of and it will be free to join. 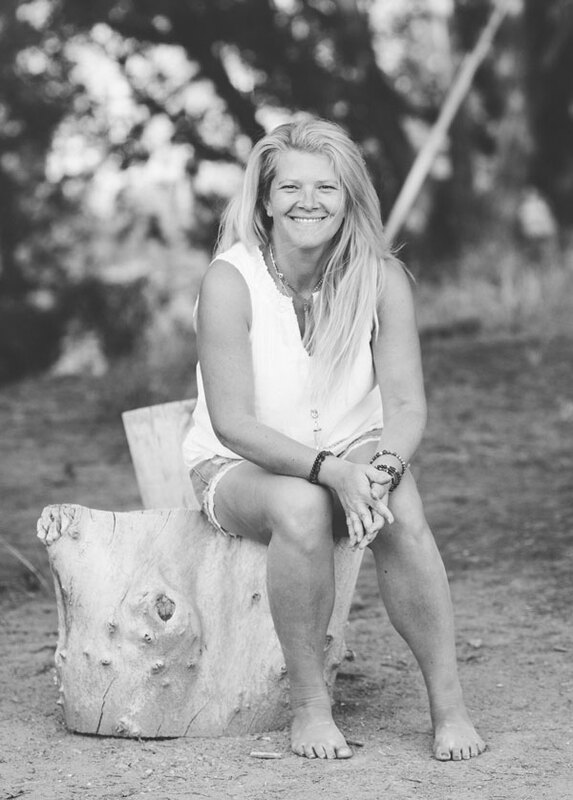 Look out for a new online class platform coming in April where you will have access to your own personal portal which will list all of the classes you have already purchased from me and a selection of free classes too! Remember you have lifetime access to all of my classes, so this new portal is going to make it much easier to revisit and access everything in one place. 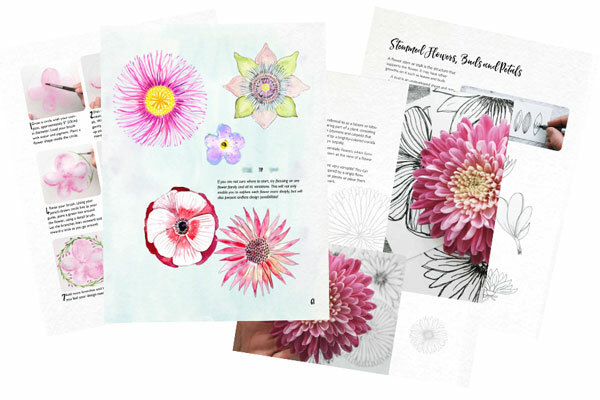 Pre-sale for the ‘Botanical Mandalas’ book will open in April/May which will also include LOTS of bonus items, including a botanical sketchbook class, downloads and videos! So if you are interested in my new book, keep an eye out in your inbox for the pre-sale which will include free access to the Book Club Members area! Above: One of the ‘Botanical Mandala’ videos included in the book club members area. 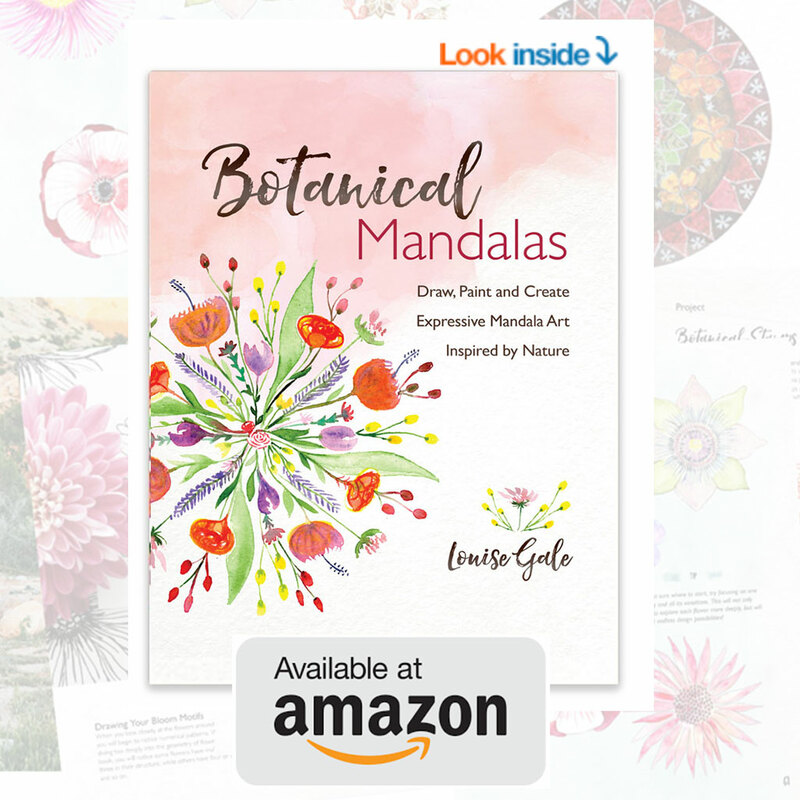 I cant wait to share my book with you and celebrate the joy of Botanical Mandalas!